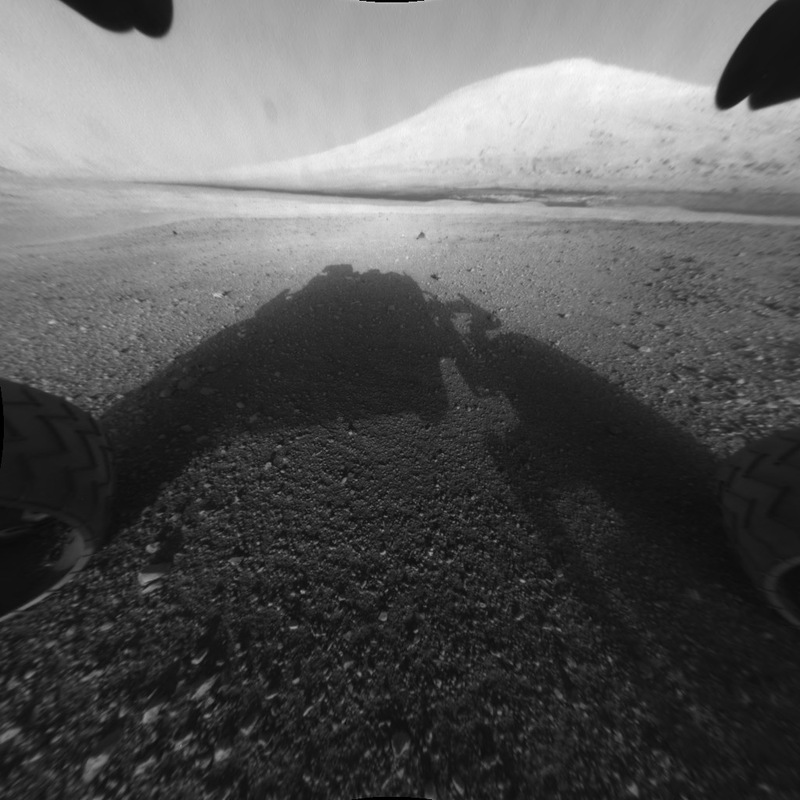 In the midst of the bad news that haunts our media, the landing of Curiosity on Mars (along with the images it's beginning to send back to the folks of NASA) is unadulterated wonderfulness! As they have so often in the past, the folks at NASA exemplify the good things that human beings can do when working together in teams for a common lofty purpose. And who can imagine what we will learn about our universe from Curiosity? This from Craig Keener: "Signs [of a miraculous nature] were accorded high evidential value in antiquity. That the modern Western educated elite tends to denigrate them is more a commentary on our culture than theirs; most cultures in the world today (virtually all cultures not influenced by deistic rationalism or atheistic Marxism) accept diverse forms of supernatural activity. Thus those who reject miracles merely on the basis of philosophical a prioris may do so as ethnocentric dogmatists rather than as genuinely open-minded intellectuals." In my years as a pastor, I’ve found that prayer is one of the biggest objects of confusion, insecurity, and, at times, even doubt that exists for Christians. On top of basic questions like these, there are times when almost every Christian feels that God has turned a deaf ear to their desperate prayers for the health, safety, or lives of their loved ones. In circumstances like these, we may wonder where God is, if God is, or, if God is there, why He isn’t responding as we devoutly beg him to respond. Today, we begin a four-part sermon and worship series on prayer. Three weeks from today, we’ll consider the mystery of unanswered prayer. But today and over the next two Sundays, we’ll consider how to pray and, along the way, why. In our gospel lesson, Jesus, within sight of His disciples, is pictured as doing what He often did during His earthly ministry: Praying. As we’ll see in coming weeks, this doesn’t mean that praying is solely a personal matter. There’s a time and a place for both private prayer and group prayer with our fellow believers in Christ. In response to their request, Jesus proceeded to share with them what we call the Lord’s Prayer. Matthew has a slightly different version of the same prayer that we see in today’s lesson from Luke. And the version we use during worship is sort of a blending of the Matthew and Luke versions, along with the addition of a “word of glory,” or a doxology--”For Thine is the kingdom, and the power, and the glory forever and ever”--that the Church has been adding to the prayer ever since the late first century. Nonetheless, when Jesus was asked how to pray, He shared this prayer. Vain repetition isn’t prayer! But in the Lord’s Prayer, Jesus teaches what we need to know about how to pray. So, what exactly does He teach us? In The Small Catechism, Martin Luther calls this the introduction to the prayer. And, though only four words in length, it’s amazing: Through Jesus Christ, we are given the privilege of an intimate relationship with the Creator of the entire universe! As many of you know, the word translated as Father is, in the Aramaic language in which Jesus daily spoke and first taught this prayer, Abba, a word used by small children of their daddies. Galatians 3:26 in the New Testament says that “in Christ Jesus you are all children of God through faith.” That’s why we’re privileged to call the first Person of the three-persons-in-one God our Father! In teaching us to address God the Father so intimately, Jesus is telling us that God is never too busy to hear from those who follow Jesus Christ. I've heard Pastor Bill Hybels talk about when he was a small boy, his hard-driving, workaholic father had a dedicated telephone with a number known only to Bill. When Hybels' father gave young Bill the number he made clear that no matter what he was doing, no matter how important the meeting or how important the person with whom he was meeting, he would always answer Bill's call. Decades later, Hybels still remembers that telephone number! In Jesus Christ, you and I can know that our heavenly Father is anxious to hear from us, no matter what else may be happening in the universe! Now, don’t misunderstand this parable. Jesus is not saying that our Father in heaven is like that unjust judge. Jesus says that if an unjust judge who has no respect for God or people can eventually be forced into listening to a poor widow’s pleas, how much more will the pure and incorruptible God Who sent His only Son so that all who believe in Him will have everlasting life be quick to hear us when we call to Him? The God Who, through Jesus, we know is our Father, wants to hear from His children and we need never hesitate to call out to Him. The late Lutheran writer R.A. Dell, whose Senior Catechism taught generations of young Lutherans what the Christian faith is about, pointed out that in Luke 18:1, Jesus says that believers “ought to pray.” Jesus commands Christians to pray. But Dell also puts his finger on why Jesus makes this command when he says, “Prayer is a communion with God, in which we bring all our joys and sorrows to Him as our dear Friend.” We call God our Father because prayer is the intimate conversation that God our Father and our best friend wants to have with us! But we dare not forget that prayer is also an encounter with the Lord of the universe Who is infinitely greater than us in power and goodness! God is the friend of believers in Christ. But He is not our buddy! When we come before Him, we should be ever mindful of God's holiness and power. Jesus teaches us that when we come to God in prayer, we need to acknowledge that God isn’t a genie or a rabbit’s foot; God is the King and Creator of all, Who deserves to be loved, feared, honored, respected, and surrendered to. The hardest lesson a parent must teach her or his child is that the child isn’t the center of the universe. It's a hard lesson to teach and it's a hard lesson to learn! You and I are born in sin, meaning that Adam and Eve have passed onto you and me a desire to “be like God.” But when each of us decides what is right in our own eyes, placing our own desires and impulses first in our priorities, our lives and the life of the world gets out of whack. Everything that is wrong with our world is the result of this kind of sinful me-first thinking. To do anything vainly is to do it for no good purpose, uselessly. When we use God’s Name as a swear word, or as a witty punctuation, as so often happens on sitcoms these days, we are violating the holiness of God’s Name. When we ask that God’s Name be hallowed, we’re asking that He would give us the faith to use His Name only to petition Him in Jesus’ Name, to praise Him for His goodness and grace, and to thank Him for His blessings. By praying that God's Name will be hallowed, we militate against our inborn selfishness and re-orient our hearts, minds, and wills toward pleasing God the creator, not his creatures. Back to Luke 11:2. The second petition Jesus teaches us to pray is, “Thy kingdom [Your kingdom] come.” Praying as Jesus prayed to His Father, having advanced to the second petition, we find that Jesus still doesn't want us to pray for what we want. In the second petition, ee’re still praying that God will help us put God’s priorities first. I am convinced that, in these times, there is no more important prayer for us to pray than that God’s kingdom will come, that there will be a worldwide turning from sin and to faith in Christ. The world, with its rampant materialism, sexual promiscuity, sexism, violence, and hatred for Christ and the Word of God, needs a new awakening to the goodness of God and to our need of the new life that only comes from the crucified and risen Jesus Christ. We need to realize that being a follower of Jesus Christ isn’t about being a nice person or keeping our mouths shut in the face of evil. Those who live in the kingdom of God love all their fellow sinners while hating all sin, whether it's the sin inside themselves or the sin enslaving the world to Satan and hell. We need for God to come and reign over us, to turn our lives and the lives of our churches, our countries, and our world to Jesus Christ. So, how do we pray? First, believing in Christ, we come to God our Father, authentically and helplessly as children who need Him for life and guidance, forgiveness and hope. Second, we pray that His Name will be respected and honored, first by us and also by the world. And third, we pray that His kingdom, which comes without our help but which we can only receive through faith in Christ, will come to us afresh each day, finding us truly submissive to Jesus, tapping into the power of the Holy Spirit to live lives of devotion and holiness. These, Jesus says, are the starting points of true prayer.